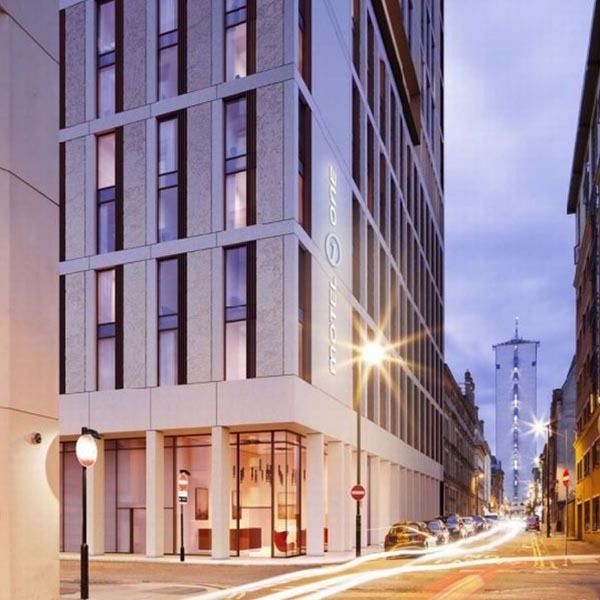 Elements Europe will again work with Russell Construction to deliver another Motel One in Manchester city centre. This unique development will see two hotels in one 20 storey tower building, a first for the city. Motel One will occupy the first eight floors of the building, with Staycity Aparthotels taking up the remaining floors above. The hotel will replace the 1970’s derelict Peterloo House, marking the last phase of St Peter’s Square’s regeneration. Elements Europe will manufacture 288 bathroom pods for the scheme, with two different pod types. “We are really pleased to be working with Russell Construction to successfully deliver another Motel One for the city as well as being part of this unique development which has been described as a first of its kind for Manchester.” Commented Kevin Arthur, Director. A prototype will be manufactured for the scheme to be approved by Russell Construction prior to the full order starting manufacture. In 2015 Elements Europe were contracted by Russell Construction to manufacture 279 bathroom pods for a Motel One close to Manchester’s Piccadilly.